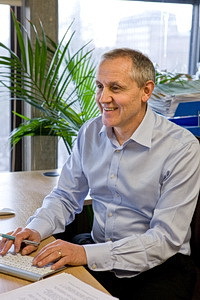 Stuart Foster, in his role as Executive Director, has provided strategic leadership for the UCL Centre for Holocaust Education since its inception in 2008. He recently led the Centre’s ground-breaking national study What Do Students Know and Understand About the Holocaust? in which nearly 10,000 young people participated. Stuart has been an influential figure in history education at the IOE since 2001 and has served as the Course Leader for the MA in Education (Citizenship, History and RE), tutored PGCE history students, and supervised a large number of doctoral candidates from an array of countries including Cyprus, Greece, Israel, Korea, Singapore, Taiwan, UK, and the USA. From 2008 to 2011 he served as Head of the Academic Department of Arts and Humanities. Stuart began his career in education as a history teacher, head of department and senior teacher in comprehensive schools in England; he then completed his PhD in curriculum and instruction at the University of Texas, Austin, USA. From 1996-2001, he was a tenured Associate Professor in the Department of Social Science Education at the University of Georgia, USA. As a central figure in the field of history education nationally and internationally, Stuart is regularly invited to give keynote lectures to international audiences, and in recent years has addressed history teachers and academics in Canada, France, Germany, Portugal, Ireland, Singapore, Spain, Taiwan, Turkey, Sweden and the USA. Stuart has written more than fifty scholarly articles and book chapters focused on teaching and learning history and he has authored or co-authored six books. His most recent book, War, Nation, Memory focuses on how the Second World War is taught in schools in different nations throughout the world. He is also series editor of the International Review of History Education. Under Stuart\'s leadership the IOE produced the UK\'s first ever large-scale national study: Teaching About the Holocaust in English Secondary Schools: An empirical study of national trends, perspectives and practice (2009). 1. Foster, S. J. and Karayianni, E., “Research into Textbook Portrayals of National Socialism and the Holocaust: Issues, Challenges and Future Directions.” In Fuchs, E and Bock, A., eds., Palgrave Handbook on Textbook Studies (New York: Palgrave Macmillan, 2018) (in press, due March 2018). ISBN 978-1-137-53142-1. 2. Foster, S. J. and Karayianni, E., “Portrayals of the Holocaust in English History Textbooks, 1991-2016: Continuities, challenges and concerns.” Holocaust Studies: A Journal of Culture and History, 23, 3 (2017): 314-344. ISSN: 1750-4902. 3. Foster, S. J. Pettigrew, A., Pearce, A., and Hale, R., What Do Students Know and Understand About the Holocaust? : Evidence from English Secondary Schools (London: UCL Institute of Education, 2016). ISBN 978-0-9933711-0-3. 4. Foster, S. J. and Burgess, A. “Problematic Portrayals and Contentious Content: Representation of the Holocaust in English History Textbooks” Journal of Educational Memory and Media, 5, 2 (2013): 20-38. ISSN: 2041-6938. 5. Foster, S. J., “Teaching Controversial Issues in the Classroom: The Exciting Potential of Disciplinary History” in Baildon, M., Deng, L. K., Lim, I. M., Inanc, G. and Jaffar, J., eds. Controversial History Education in Asian Contexts (London: Routledge, 2013), pp. 19-39. ISBN: 978-0-415-83352-3. 6. Foster, S. J. “Teaching About the Holocaust in English Schools: Challenges and Possibilities,” Intercultural Education, 24, 1-2 (April 2013): 133-148. ISSN: 1467-5986. 7. Foster, S. J. “Dominant Traditions in International Textbook Research and Revision,” Education Inquiry, 2, 1 (March 2011): 1-16. ISSN: 2000-4508. 8. Crawford, K. and Foster, S. J., War, Nation, Memory: International Perspectives on World War II in School History Textbooks (Greenwich, CT: Information Age Publishing, 2008). ISBN: 978-1-59311-851-8. 9. Foster, S. J. and Crawford, K. A., eds. What Shall We Tell the Children? International Perspectives on School History Textbooks (Greenwich, CT: Information Age Publishing, 2006). ISBN: 1-59311-509-1. 10. Davis, O. L., Jr., Yeager, E. A., and Foster S. J., eds., Historical Empathy and Perspective Taking in the Social Studies (Lanham, MD: Rowman and Littlefield Publishers, Inc., 2001). ISBN: 0847698130.